What does it mean to fight like a girl? It’s officially two weeks post op and I’m off pain meds, which means I get to write again. Yay! Some people have asked me what exactly they did and why I’m out for the cycling season. This X-Ray shows it all pretty well. What has really surprised me his how relatively pain-free I am in comparison to last time. I really think a lot of that is due to the fact that doc stabilized my tibia. I have two plates now instead of one. I have one in front and one on the side. 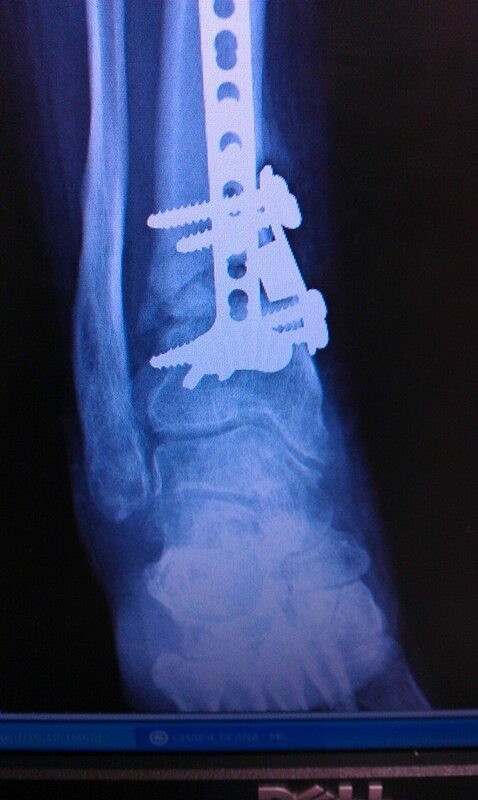 There are 7 or 8 screws holding them in place. The fuzzy part in the middle is my hip bone. This part needs to stop being fuzzy and make nice with the rest of my leg before I can walk. If all goes well, I won’t need the ankle replacement. That is my goal. I just had a really crooked tibia that rubbed on my talus and made my ankle hurt. Our docs down here are awesome and some of the most creative orthopedic surgeons I know. I’m still out for the season no matter how you slice and dice this. In the mean time, I’m rockin the banjo and making the most of my down time. The Tulsa Tough Diva’s are Back! Most of you dear readers remember my past stories and adventures while I ventured out into cycling back in 2011. I remember the thrill of doing my own research, going to Tom’s on Peoria and buying my very first street bike. My husband liked my bike so much he bought one as well. Personally, I think it’s because he was jealous that my new bike was faster than his. Then I did the Tulsa Tour de Cure on my own for the first time in 2012. I had so much fun I captained my own team in 2013. Then my husband and I got our own dirt bikes, because you know dirt bikes are fun. I even lamented on occasion about how I only know male cyclists (including my GYN and yes I posted snarky jokes about that. Hopefully he does not know this blog exists. ), how even on the web there just weren’t that many women cyclist bloggers, and if I read one more story about man-scaping I was going to barf. Say hello to the Tulsa Diva’s. I remember writing about how thrilled I was last year when the Tulsa Diva team started and how I was going to ride with them as soon as I got back from Nashville, only I didn’t because I fell and hurt my leg. Well, that and I totally wussed out because I was afraid I couldn’t keep up and that my leg would give out again. I totally regret that because they treat newbies like me so well and now, at least for this year, I’m not allowed to ride. — My tibia is in three pieces and I’m still working towards getting a full ankle replacement. I’m down for the whole 2014 season. I missed out. There are a lot of great things to be had with the Tulsa Diva’s. 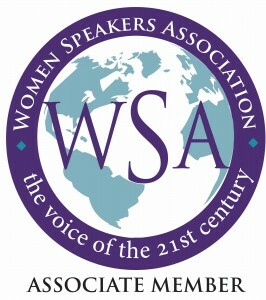 Support – these women do a great job in including and encouraging riders. They have a Facebook group where they post up coming rides, tips and encouragement. Knowledge –– You don’t know anything about cycling? Great! Tulsa Diva’s host clinics for everyone on all aspects of riding. How to fix a bike, being properly fitted, rules of the road, how to ride with a group, mastering the three sisters, racing and so much more. Fellowship — It’s not just the group rides. Everyone is included and invited to post ride fellowship, parties, and other events. Great friendships have already been built because of the Tulsa Diva’s. I’ve even made friends with a few on Facebook that I am looking forward to getting to know in real life. 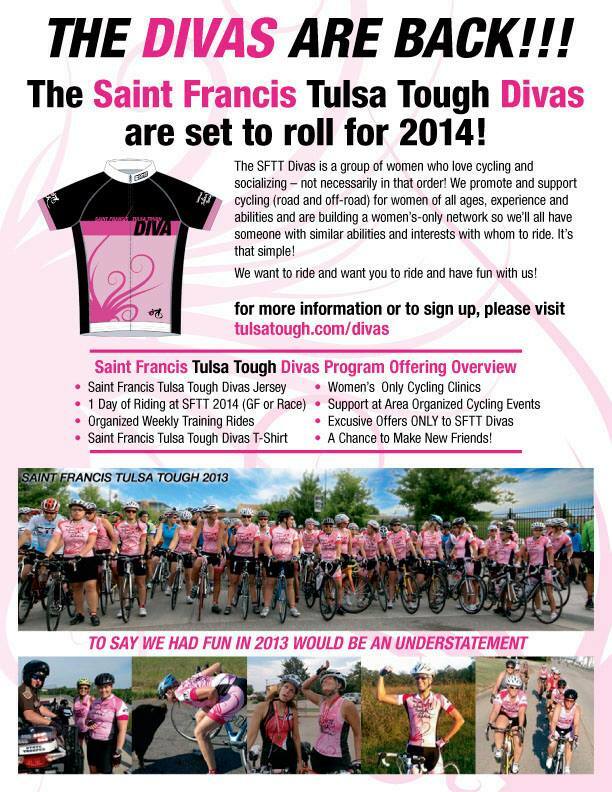 Events — the Tulsa Diva’s do more than just Tulsa Tough and weekly training rides. Throughout the year they participate in numerous rides like Tour de Cure, MS-150, Gran Frodos, biathlons, marathons, triathlons, CAT Races and whatever else they can come up with. 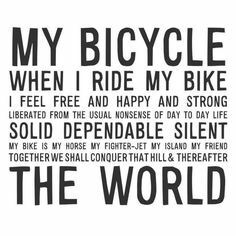 When you sign up for any kind of cycling event or whatnot, you know you are not alone. There is a Diva Sister there with you for fun, encouragement, and support. Women Cycling in Tulsa! Can you believe it? Even though I haven’t made it to a group ride, these women (and the guys who help run it) have been wonderfully encouraging, passing on information, and giving me ideas on how I can still train while my leg heals. (Like swimming). Oh, and their kits are awesome. You can bet come next Spring, I WILL be riding with them. Hope you’ll join me. Better yet, join now. You won’t regret it. Two Wheel Tuesday: How to be a biker — kinda racy, just a warning. This video does contain some suggestive material. I think it’s funny and am sharing it, however if you don’t like racy, don’t watch.